Pets are members of the family, but their furry presence in your Lebanon – Wilson County, Tennessee home puts extra demands on the heating and cooling system. At Bentley’s Air Conditioning, we’ve identified some simple steps you can take to minimize the impact and improve air quality. Reducing the hair stuck in carpets and drifting around the home translates into less caught in the ducts and air handling unit. Frequent vacuuming can keep the intake vents from collecting all that debris. Dirty filters reduce airflow and diminish indoor air quality. 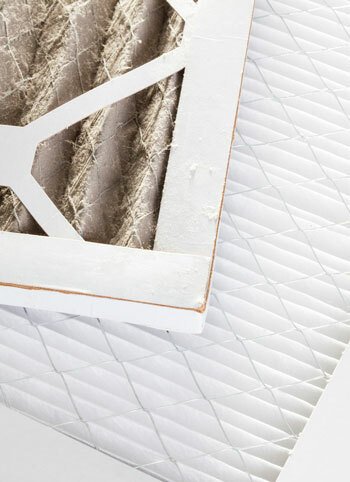 Check your air filter every month and replace or clean it as necessary. For many homes with pets, this can mean changing the filter every single month. In addition to managing pests and supporting healthy skin and fur, giving pets regular baths controls odors and allergens. Brushing your pet will also remove dirt, grease and dead hair, helping keep these contaminants out of the heating and cooling system. Different types of indoor air cleaners are more effective at targeting certain contaminants. The better ones can remove up to 99.9% of harmful pollutants in your home. These include pollen, pet dander, dust mites and mold spores, so if you’re concerned their presence is a negative influence on your health, an air purification system might be right for you. We’d be happy to recommend one if you’re interested. Follow these Bentley’s Air Conditioning tips for Lebanon – Wilson County, Tennessee cat and dog owners, and you’ll be better prepared to protect your A/C and heating system and keep indoor air quality high. You’ll also be safeguarding an asset that’s impossible to put a price on: The health of your family and pets.